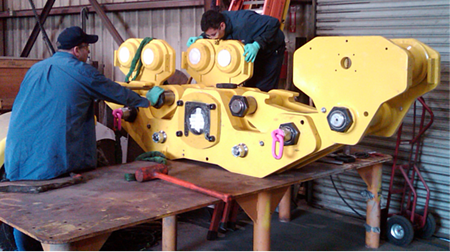 - Available in Air , Electric or Hydraulic powered. 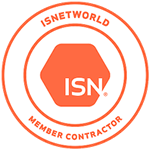 - Rated for working capacities in the Moonpool or down at the Mudline. - Dedicated Load-Limited: 337 lbs/150 kg. In the Middle East for RAM ‘s Air Winches & Hoists. 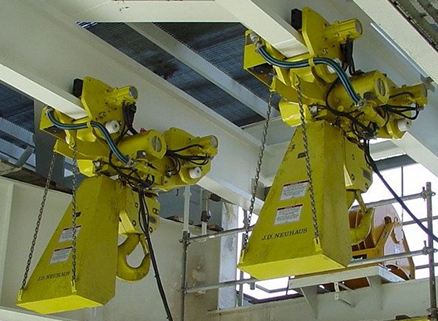 Our clients operate worldwide in extreme environments and working conditions and those high expectations means RAM’s winches & hoists meet the needs of these demanding tasks day in and day out. RAM offers the finest Air Hoists & Winches, Air Compression Equipment and BOP Handling Systems currently available in today’s market. 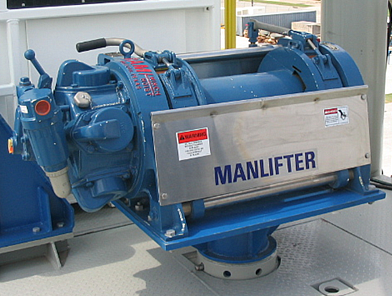 By building our own four, five and six cylinder radial piston air motors ranging from 9.4 to 40 HP and adhering to RAM’s version of ISO 9000 Quality Assurance compliance, we provide our customers with products that define the standard for world class winches and hoists. 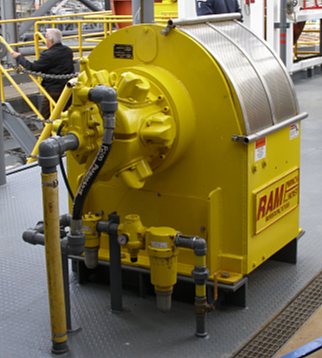 RAM has long been and continues to be, a leader in re-manufacturing, repair and load testing of current and older generations air winches. 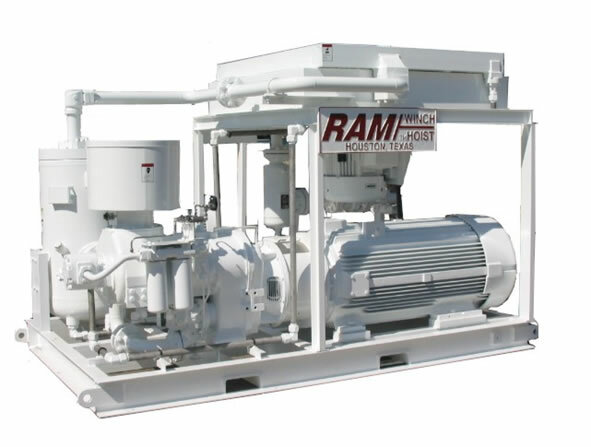 RAM is an independent, Air Winch Original Equipment Manufacturer. 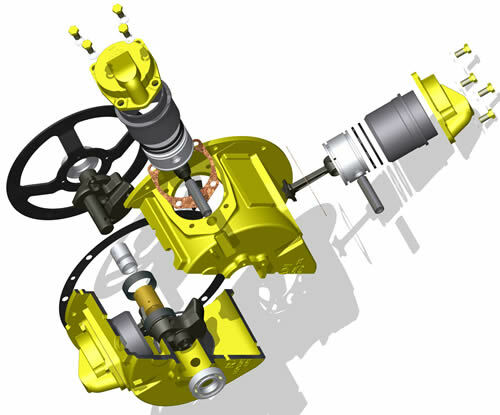 We produce our own in house product line of Reverse Engineered Replacement Parts for many air winches that are no longer in production, as well as current generation models of winches. 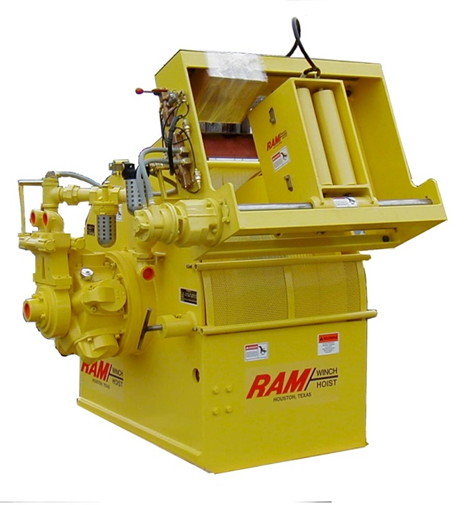 These Reverse Engineered Replacement Parts can be used on RAM Air Winches as well as Air Winches from other manufacturers, such as Ingersoll Rand, Joy Beebe and Thern. By using state of art computer modeling and manufacturing technology RAM can provide replacement parts that are dimensionally compatible and are often made with superior materials such as low-temperature cast steel in place of older generation grey iron castings. RAM’s extensive use of state of the art, 3-D modeling allows for exceptional design efficiency combined with cost effective product development and manufacturing allows both our standard catalog products as well as our custom, engineered application specific material handling equipment to meet any requirements, anywhere. RAM’s focus allows us to specializes in project oriented Quality Process development and support to insure our clients have access to Positive Material Identification, all manner of Material Traceability, Non-Destructive Testing and Regulatory Compliance documentation. 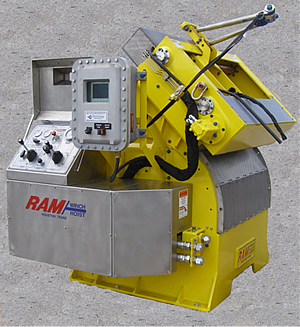 From basic metallurgy to finished painting, RAM’s products set the standard for compliance and performance.